This transition bicycle, introduced after the High Wheeler and before the Pneumatic Safety. The rims were outfitted with a round hard piece of rubber, hence the name Hard Tire Safety. The invention of Dunlop's pneumatic tires(air filled tires) made the Safety the clear winner in bicycle design over the High wheeler. The pneumatic tires provided the cushy supple ride of the High Wheeler with the safety of . . .you guessed it, a safety. The hubs were ahead of their time. I remember service representatives visiting our bike shop from various bicycle companies to look at unique and innovative hub designs, and to then later see the hubs of a 100 years ago reintroduced as groundbreaking and innovative. Unique dropout chain tensioner. Some of us who grew up in the 1980s and 1990s will see the extension on the rear axle as a 'peg' or 'pogo,' something found on BMX bicycles that was originally intended for tricks, but more commonly used to carry your friend around. On this 1890s bicycle, it is a mounting peg, it is used to help assist the rider in mounting and dismounting the bicycle. Well, someone can get them. Fellow collector and cycling historian Eddie Albert brought them to sell at the Monson swap meet. They are available on his awesome website that is chock full of history and some amazing bicycles. This is a view from the outside. The event is held at the Memorial Hall. Much of the action happens indoors, but I neglected to take a picture in there, so you will just have to guess. . .
1891-1892 Columbia Hardtire safety. more pics to come in the future. One sellers selection of Raleighs. We sold this Raleigh Chopper a month ago as a ratty blue one, since then, he repainted it and restored the parts up nicely. Nice Shelby Airflow bought there. 1903 or so Crescent Shaft drive bicycle. chainless. Mid 1950s Raleigh Super Lenton for sale there for $800. 1970 Hetchins. I will post better pictures in a couple days, I took some nice one. Nice early Schwinn CycleTruck with basket and basket top. Rear fender has holes for skirt guard? Below are some various cool things I have seen so far this year(that I have not posted about yet). Nice 1970s Schwinn Paramount with a Campagnolo triple crankset. We have the Hill Cycle show bike, we are currently restoring it and it will hang downstairs as a reminder of Philadelphia's Bicycle racing history. I will add photos of it in the future as well. 61cm center to center seattube, 58cm center to center toptube. Rear derailleur is stamped 1972. The Campagnolo Nuovo Record brakes are the early ones with flat qrs. Early Campy brake levers, referred as long reach. 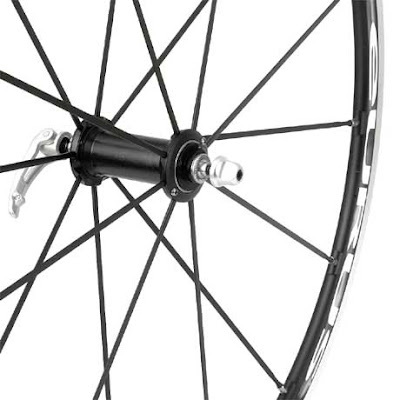 Freewheel will be provided, not in pictures. The rims were changed to clincher rims, but i can sell a set of correct AVA tubular rims for $60. Brooks Professional saddle, that has been chopped and modified- they referred to a Hot Rodded. the bike will clean and polish up beautifully.